2-story town home style condo. 3 bed, 3.5 baths. Finished basement. All bedrooms have their own bath. 2 closets in master and beautiful floor to ceiling tile in shower. 42" cabinetry and large pantry. White Quartz Kitchen counter tops. Gas fireplace in living room. Upstairs laundry. Detached 1 car garage and 1 additional assigned parking space. Fenced patio. Green construction and Energy Star certified. 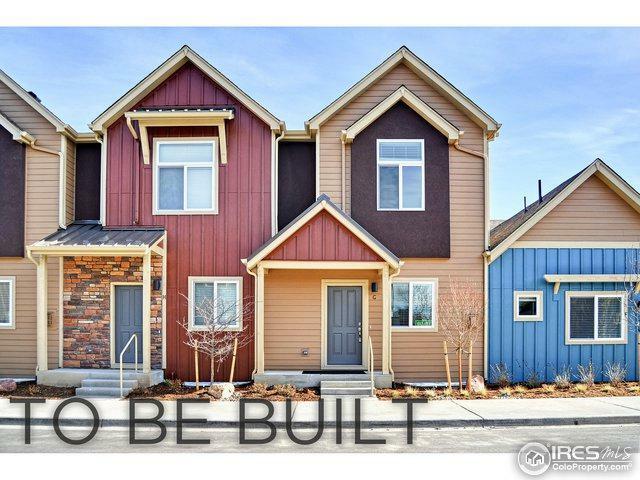 6 acre park at end of the block and walking distance to the Longmont Rec Center and Museum.